Our upholstery cleaning services are provided by skilled and trained technicians. The upholstery on your couches, chairs, and other furnishings can become heavily soiled over time and normal use. 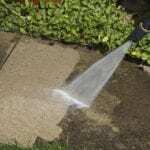 Even if you can’t see any major stains or spots, the material tends to collect grease, dust, dirt, dead skin cells, food crumbs, oils, and other contaminants. As a result, you may be sitting on a couch that is dirtier than the ground if you’re not keeping up with regular upholstery cleaning. 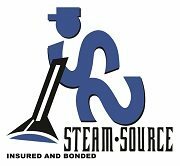 At Steam Source, one of our goals is to provide a cleaner and healthier living atmosphere for our customers and their families. We can help achieve this goal by providing regular upholstery cleaning services at your home. When we clean your upholstery, we’ll bring all the equipment we need to tackle the job. The process is similar to our hot water extraction method for carpet cleaning, although we use less force, since furniture can be a bit more delicate than the carpets beneath your feet. 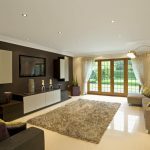 Our technicians will also use a specialized cleaning formula that targets stains and leaves behind a fresh, clean piece of furniture. Before we begin, we always identify the fabric type to make sure we are using the best possible method for cleaning it. Our upholstery cleaning services are provided by skilled and trained technicians. We’ll take care of the furniture in your home and make sure it is properly treated to remove stains and freshen up the fabric. Contact us today to schedule your upholstery cleaning service in Kernersville, North Carolina. 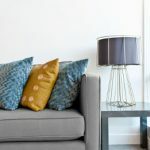 At Steam Source, we offer upholstery cleaning services in Winston-Salem, Greensboro, Kernersville, Clemmons, Advance, High Point, Mocksville, Pfafftown, Jamestown, Oak Ridge, Summerfield, Lexington, King, Walkertown, Colfax, Lewisville, Welcome, Bermuda Run, Thomasville, Yadkinville, and Walnut Cove, North Carolina.